Hey guys! 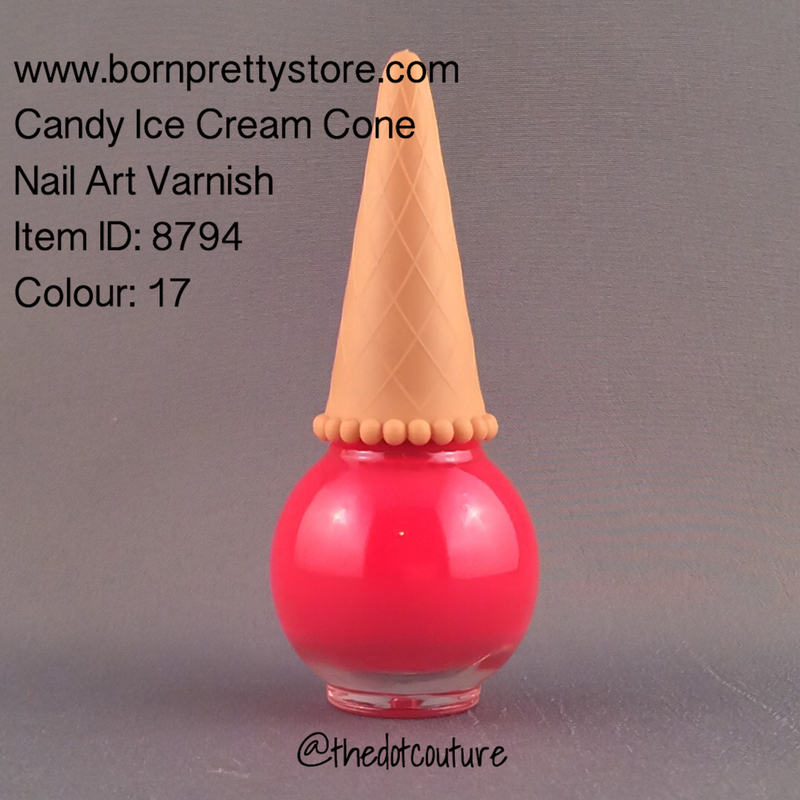 Today I have a review of this way too cute Ice Cream Nail Polish from www.bornprettystore.com. These are a selection of nail polishes that come packaged in little ice cream cone-shaped bottles. And a surprise bonus – they’re scented! Let’s start with the packaging. It’s adorable!!! It looks small but it’s a 12 ml bottle. Most polishes I’ve come across average between 12-15 ml. The ice cream cone handle is very comfortable to use and the brush is a nice square flat square shape. 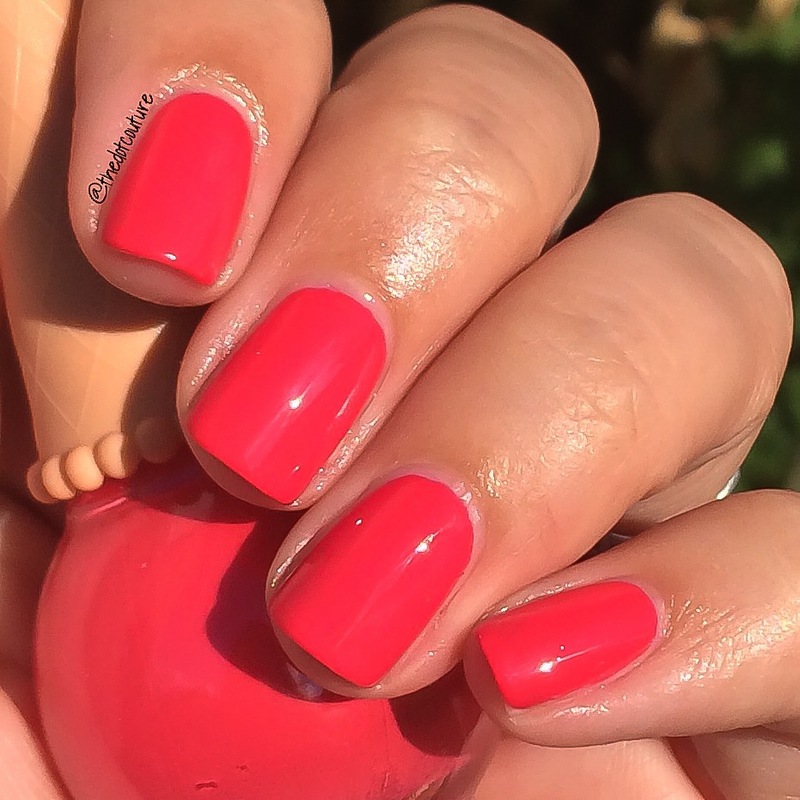 This colour had a sort of strawberry candy scent that lingered on the nails in a delicate and non-offensive way. 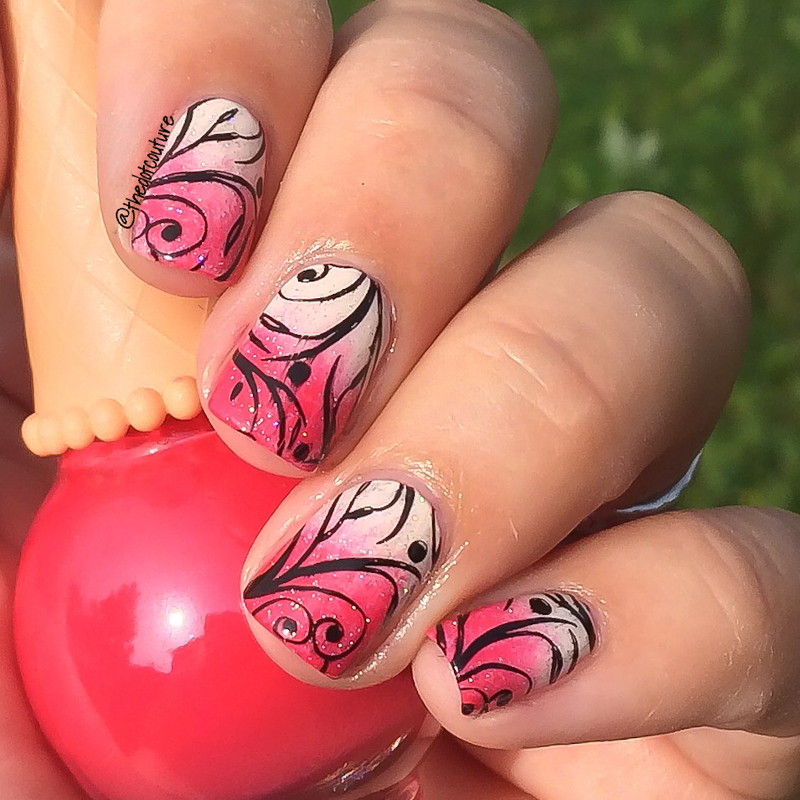 And of course I had to test it out with some nail art. BUT I got impatient with my top coat and smeared my middle finger a bit. The verdict is: great formula, great colour, A++ on packaging!!! These retail for $3.95 USD ($4.76 CAD) – and if you use the code JDGK31 you can get 10% off your entire order of non-sale items!!! www.bornprettystore.com also offers free worldwide shipping right to your door. Will these cute little polishes find their way into your collection? ?